← Keeping very old bark on hawthorns even when it rains all year! While I wait for a root stand of quality to present itself, I have decided to create something unusual. I have displayed the tree before on the wooded stand but felt it lacked something. A brainstorming session with Andy from Stone Monkey Ceramics and referring to the unusual tables shown on this blog and here you have the outcome. 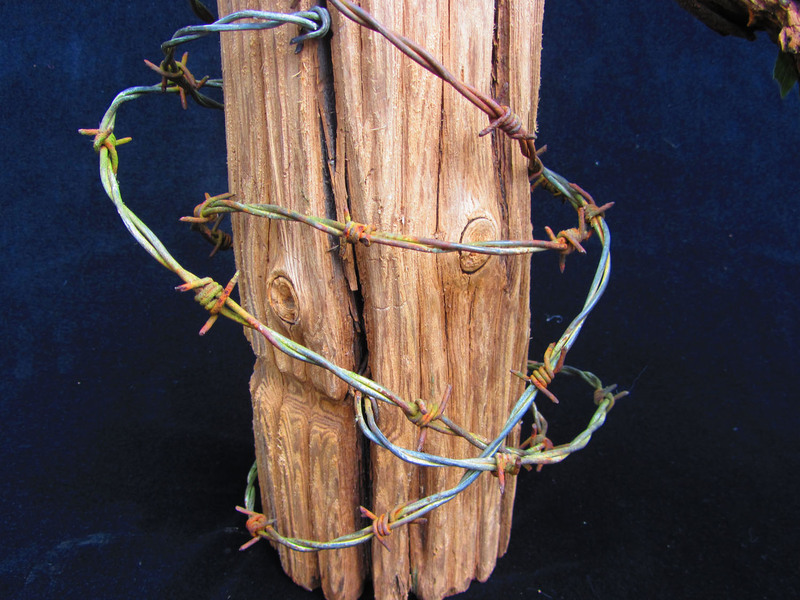 The twisted barbed wire was ‘found’ on the banks of the Thames near the Olympic Canoe sprit venue. No cutting needed it just fits! 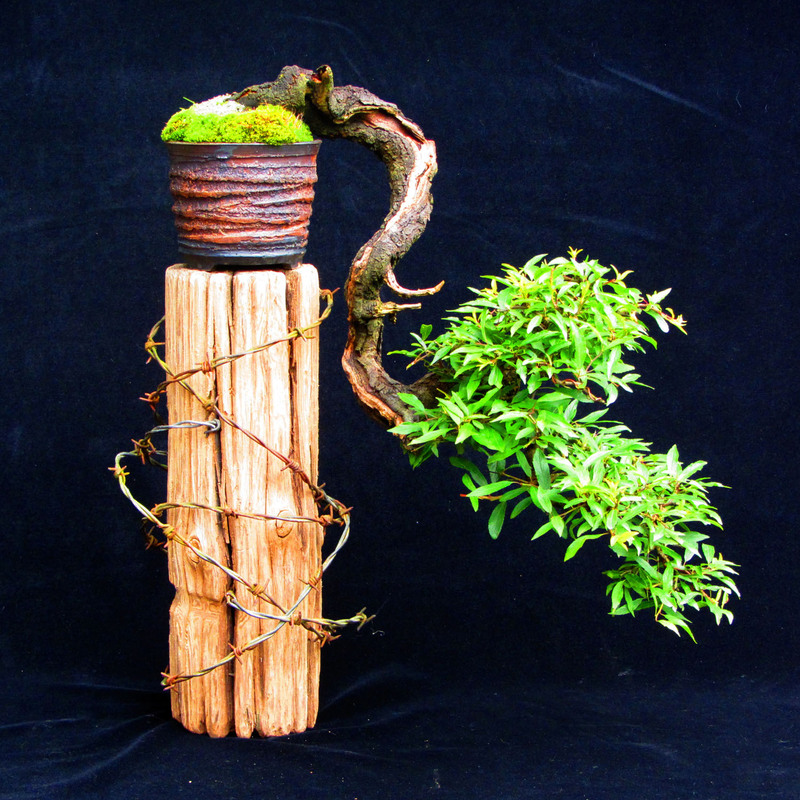 I will be showing the tree at the Bonsai in Wales event at the end of August. 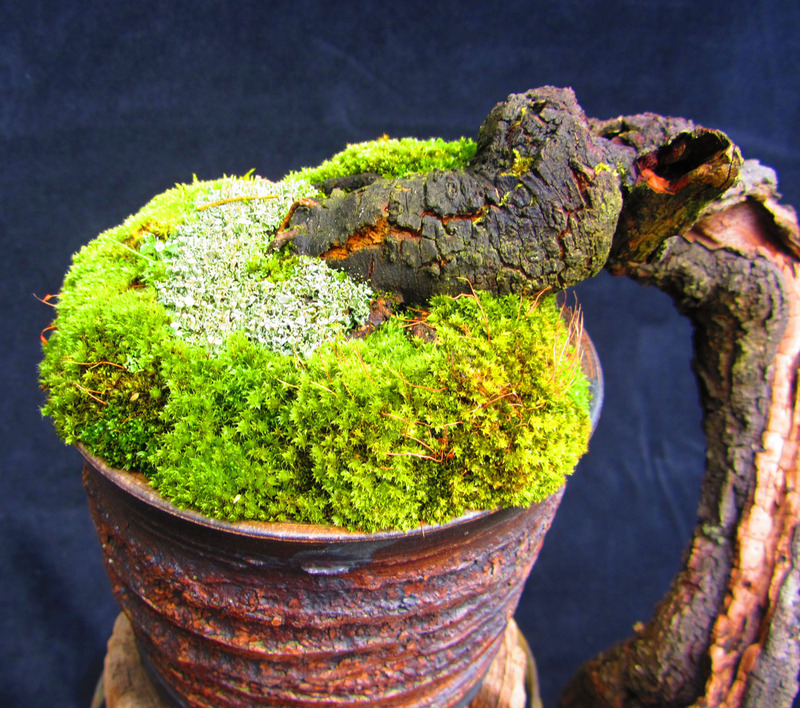 One more thing Tony, I think I would like to use this Blackthorn Bonsai as my living art discussion subject. I am a college student here in Binghamton, New York. I am supposed to pick a subject and describe its physical, historic context and subjective interpretation of the subject. 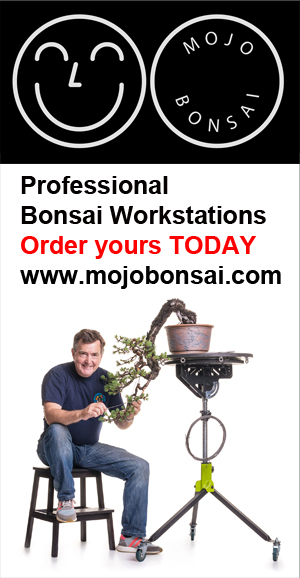 Did you grow this blackthorn bonsai? Do you know how old it is, or any historical part of it? And any other information you have about this bonsai would be greatly appreciated. You can e-mail me directly, if you like. Beauty and the Beast? I love it! 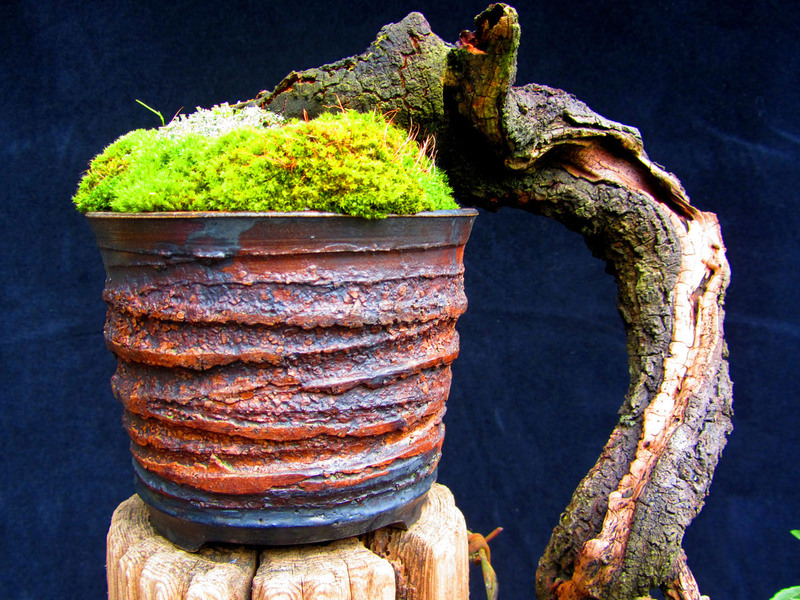 The graceful bonsai contrasting nicely with the barbwire and the unusual stand. Non traditional, but hey, someone has got to be different, that’s why I love it! This is what I am looking for…living art sculpture. Why is it that cascade display stands tend to be either too bulky or too petite? There seems to be very few which are designed with the cascade pot size in mind. I feel like Goldilocks and the three bears. Its very difficult to find the correct cascade stand… as I stated in my opening paragraph… I am waiting for one to come along… If you find one Alan, sent it my way buddy. Like it a lot! I really love that tree and pot. Who made the pot? Love the Combo Tony. The pot is by Belguim potter Rene Lecoq – Top Bloke! A nice adaptation of the original idea! I like your ,,freestyle,, very much. Against the Janepaness rules.